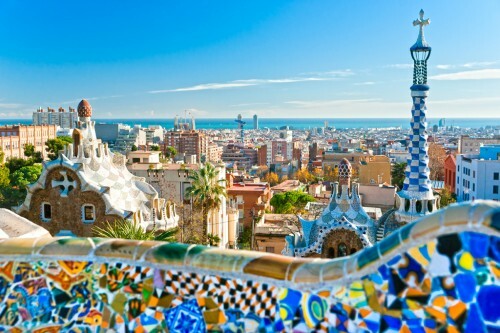 Super cheap flights to Spain: Barcelona from Prague for €37 / 972 CZK! UPDATE 28.12.2018: Ryanair now offers return flights between Prague and Barcelona for only €37 / 972 CZK! Travel dates perfect for extended weekend in March, which is already warm enough to enjoy the city. BOOK NOW. Ryanair now offers super cheap prices on flights from the Czech Republic to Spain. Return flights from Prague to Barcelona are available for only €40 / 1019 CZK!. 10 kg cabin luggage up to 55 cm and one other smaller bag is included in the price which should be enough for such city trip. This is incredible price considering that just few months ago, before Ryanair started operating this route, the usual price was around €200. Travel dates are in January and February 2017. Get €28 free credit for your accommodation through AirBnb from RushFlights! Book via Momondo for the best price. « HIT! Cheap flights to Philippines: Manila for €329! Also Thailand, Malaysia, Indonesia, Sri Lanka or India!